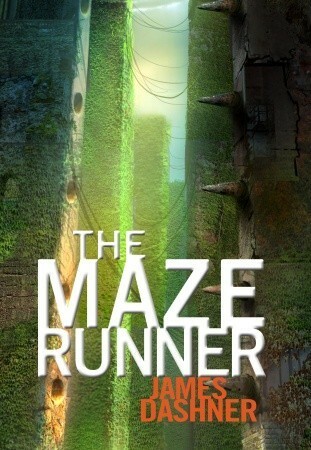 Last week I finished The Maze Runner trilogy by James Dashner. Rather than do a review of each book, I decided to just do a review of the trilogy as a whole. A synopsis of this series is difficult, but basically the premise is that on page one, Thomas wakes up in an elevator knowing nothing about how he got there or where he is going. He only remembers his name and vague memories with no specific names, faces, or places. From there he embarks on a non-stop adventure through a dangerous maze, meets a multitude of interesting characters, fights animal-like robot monsters, and much more. It's part dystopia, part sci-fi, part post-apocolypse. It's like Lord of Flies meets 1984...and Labyrinth...and The Hunger Games. I loved that the reader only knows as much as the main character, Thomas. You will be mostly confused for the majority of the series gaining little nuggets of information as you go through, but that's what makes it fun to read. It was a little hard to get into in the beginning, but you just have to get acclimated to the writing and the language, and then you're hooked. Dashner weaves a very intricate story around the characters and the mad, mad world they live in. It's a fun, non-stop, quick paced, completely unpredictable adventure with a surprise around every corner. I read many reviews where people complained about his lack of characterization. I have to say, they get better in the second and third book. I actually got 3 or 4 characters mixed up quite often in first book. Alby and Gally were constantly running together in my mind. Sure; he could have gone in a little more in-depth with his characters, but I actually became very attached to the main characters by the end. There were real tears shed more than once...that has to tell you something. I especially loved the main character, Thomas and I didn't like him much at the beginning. At first, he struck me as weak, timid, and a bit boring, but he does redeem himself. Big time. You get to watch him morph from a timid young man, to a bonafide hero. My favorite thing about the characters was their friendships and the dynamics of their relationships under such extreme circumstances. Even if the characters were flat, the bonds between them were poignant. In terms of the sci-fi/fantasy aspect of it, it reminded me a lot of The Hunger Games, or more specifically Mockingjay and even Catching Fire. Sometimes the stunts and action would become so over-the-top you just let go of the idea of believability. It's nuts and insane, and you have to be open minded for it. You can always tell if it's just the author taking an easy way out or "jumping the shark". That is not the case here. It's all believable within the parameters of this setting. With that said, if you are overly skeptical or cynical, then you may not enjoy this series. My absolute favorite thing about the book: Cliffhangers. I love cliffhangers. I love when an author leaves you with a last line that rocks you to the core. I literally had to cover the end of each jaw-dropping chapter with my hand as I read because I knew that last line was going to be pure gold and the temptation to read ahead was too great. Dashner knows how to end a chapter so that it makes you scream, squeal, squirm...and then turn the page. Suzanne Collins was queen of the cliffhangers with The Hunger Games, and James Dashner is no different with this series. Good "shucking" luck trying to put this book down. 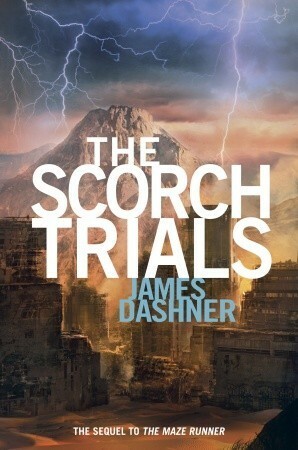 Out of all three, my favorite was the second book, The Scorch Trials. 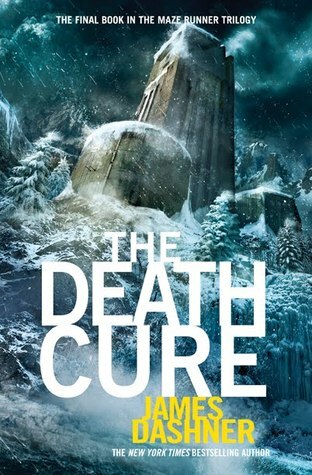 I was a bit disappointed with the third book, The Death Cure, only because I felt like it lacked a beginning/middle/end. It just seem to run on and on and on with little direction. Even still, I couldn't breath without reading it. YESYESYES! I'm so happy you enjoyed the series so much. I rated the books VERY similarly to you, but I don't think any of them got a 5 star rating out of me. That being said, it's still one of my favorite dystopian reads. There was *something* in each book I didn't like, but overall I was like you, couldn't put it down. I hope this series gets some good recognition. I've been pushing it on people for almost 4 years now, it's a must-read dystopian in my opinion. Death Cure was a disappointment to me in the beginning too. My favorite part was actually the end. I was SO happy with how he ended the series- I was terrified for a Mockingjay repeat of some sort. I can't wait for his prequel in August! I absolutely love these books. In my opinion they are far better than The Hunger Games, Catching Fire, and Mockingjay by a pretty wide margin. When someone asks me for new books to try out in science fiction I almost always recommend these before any of the other super popular trilogies that are circulating nowadays. This is the series I plan to pick up for the book challenge I'm doing this summer. Glad you enjoyed it! Which book challenge are you doing?